People, size and duration varies. 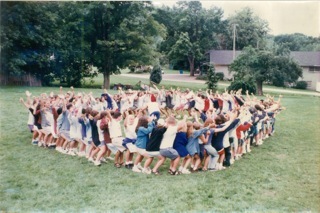 In a group of roughly 8 or more people, stand in a circle with each person facing the same direction, sit on the lap of the person behind you. This entry was posted on July 16, 2013 by rdotmdot in 3D, Performance, Reproduce/Similar and tagged 3D, Performative, REPRODUCE/SIMILAR.